Le Favril is a small village in the Nord region of France. 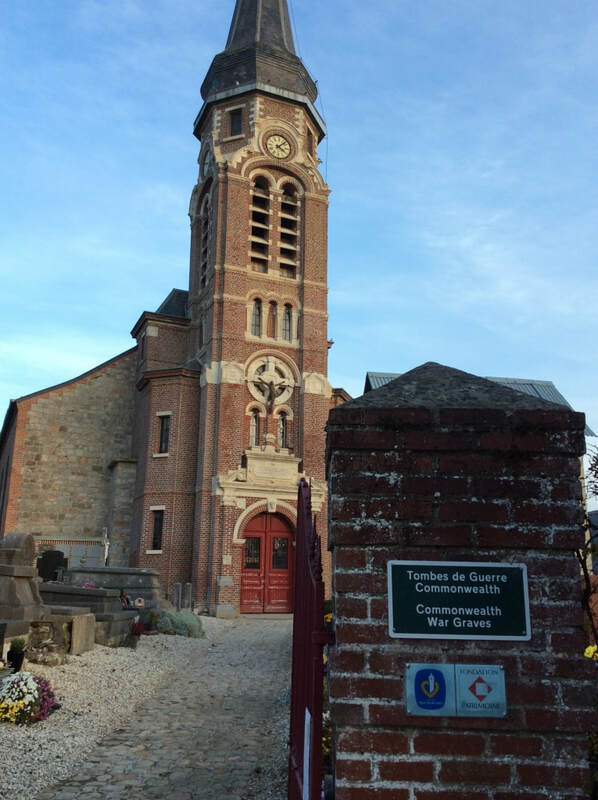 The Churchyard is located close to the Mairie. 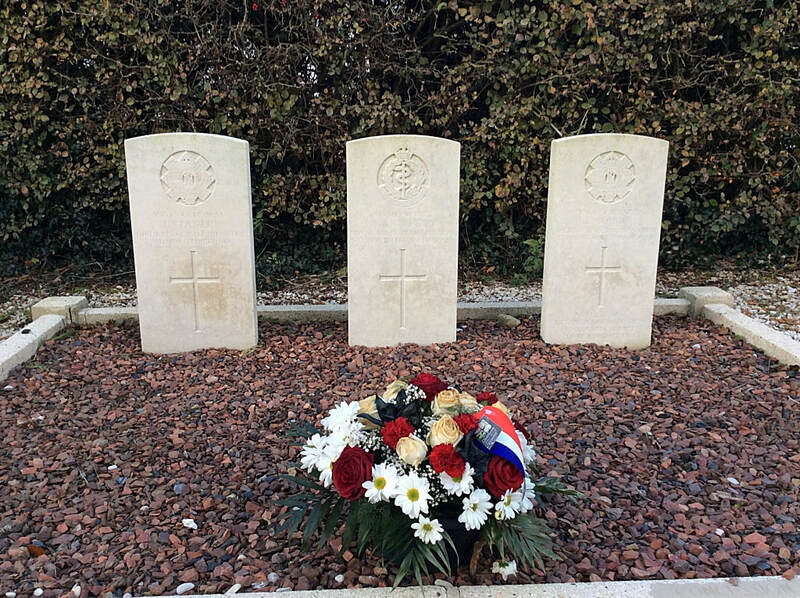 There are 3 Commonwealth burials of the 1914-1918 war here. 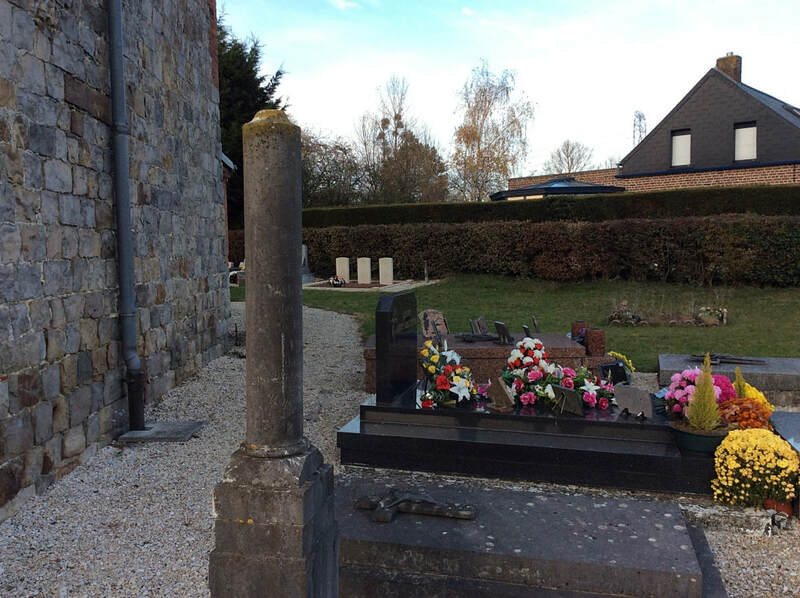 Graves located near north-east angle of church. 81450 Private Alexander Anderson, 90th Field Amb. Royal Army Medical Corps, died 5th November 1918, aged 23. 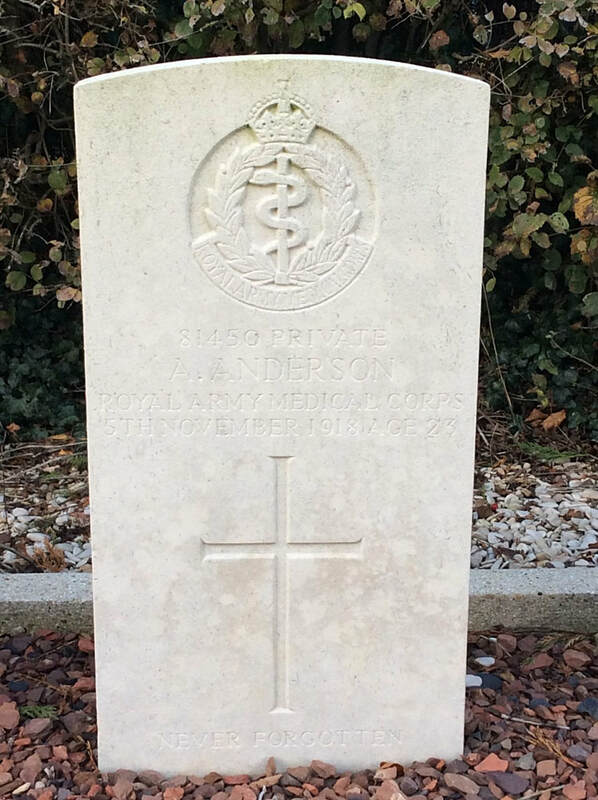 Son of John Alexander Anderson, of 4, Cross St., Perth. 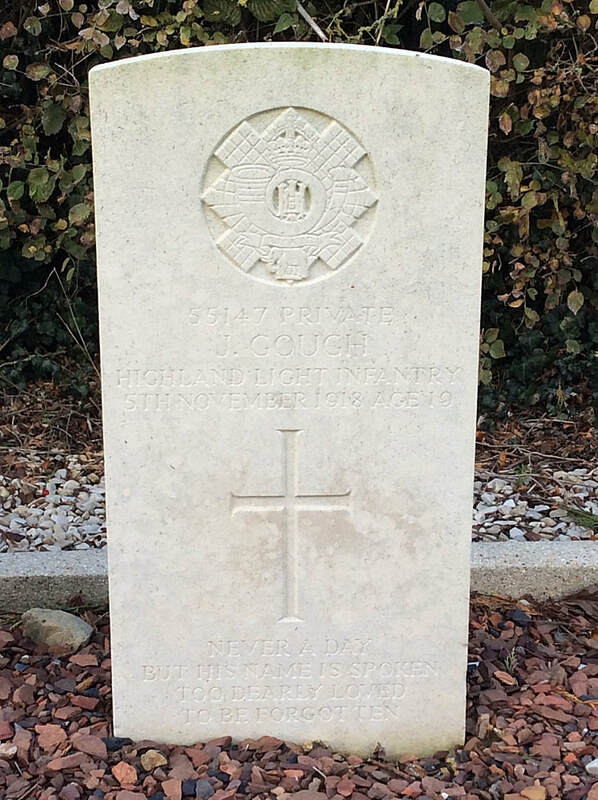 55147 Private J. Gough, 15th Bn. Highland Light Infantry, died 5th November 1918, aged 19. Son of Hugh and Mary Gough, of 49, Mansion St., Possilpark, Glasgow. 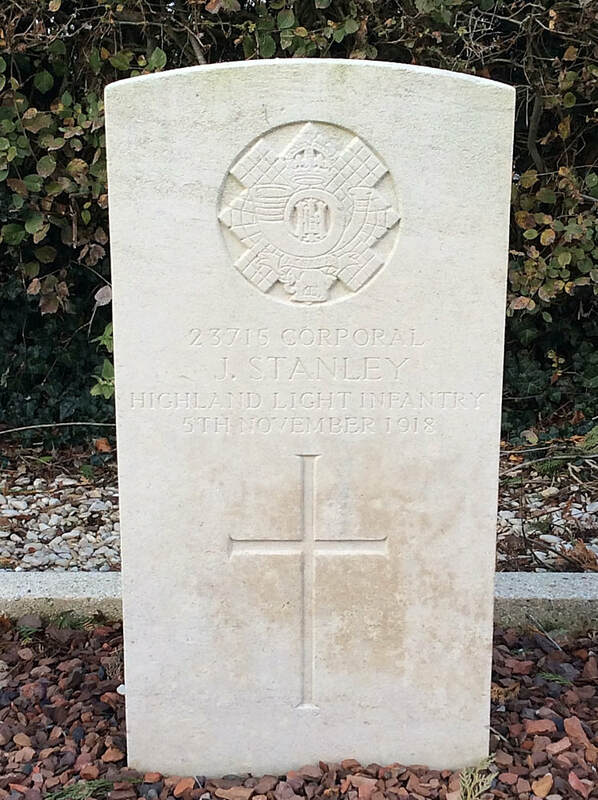 23715 Corporal J. Stanley, 15th Bn. Highland Light Infantry, died 5th November 1918.